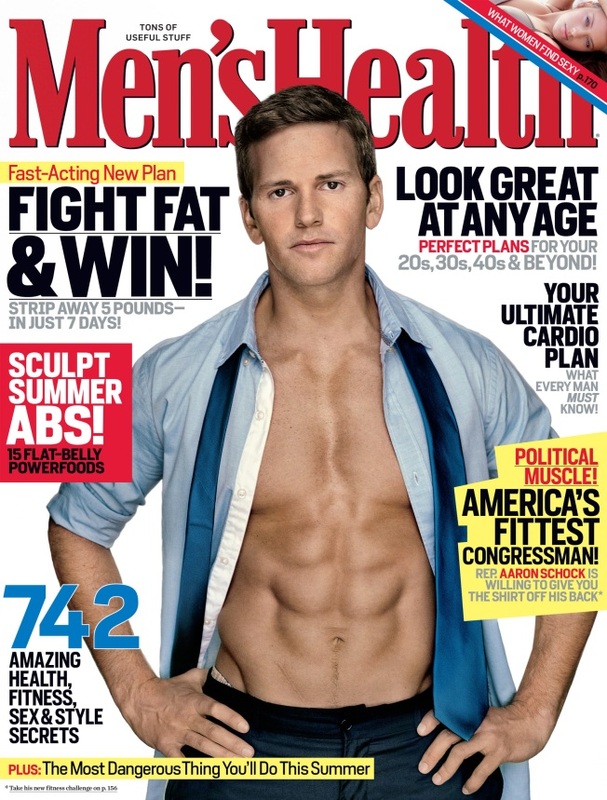 Illinois congressman Aaron Schock bared his washboard abs for a spread in Men's Health magazine. The exercise program led by fitness guru Tony Horton, P90X, has taken Washington by storm. From Aaron Schock to Paul Ryan to Jeff Flake to Kevin McCarthy, politicians swear by the intense DVD workout. Horton swung into Washington last week to both serve as grand marshal of the National Press Club’s Beat the Deadline 5K race and to drum up support for the GO Campaign, a nonprofit supporting struggling children in developing countries. POLITICO caught up with Horton to talk not only about the impact his exercise regimen has had on Washington but also to get a tailor-made workout designed for the Capitol Hill lifestyle. Horton wouldn’t weigh in on which political client is the most in shape, but he gave some hints. But Horton’s most proud about his DVDs being in use at 1600 Pennsylvania Ave.
With all these friends around town, it’s only a matter of time before Horton gets asked to make a switch from physical fitness to political office.